“Come hungry :)” said the text I got on in the morning from Marwa, one of the founders of Wanderbeak food tours. I’d been invited along to try out the tour, and I was definitely looking forward to it. Even after living here for five years, each time I take a tour I learn something new about Barcelona. Still, I was surprised at how much I learned on the wonderful Savor Spain tour – and how enjoyable it was! It kicked off in the late afternoon on the Ramblas, and I showed up quite hungry, as requested; I actually hadn’t eaten all day, so I was eager to get started on the comida. 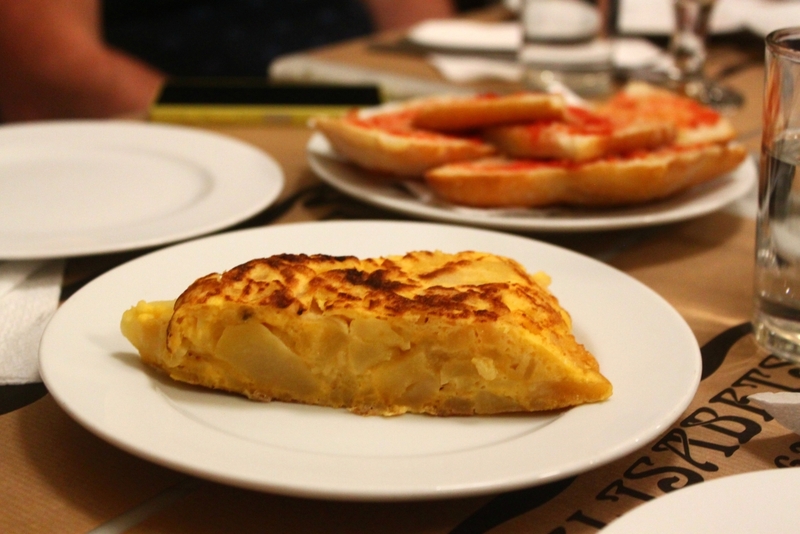 The tour is designed around a clever concept: taking you through a condensed day of traditional Spanish eating. That meant we started off with a vermouth, traditionally enjoyed around Sunday midday before a meal. We started off at a chic restaurant serving up some of the freshest food from the Boqueria market round the corner. There, we sat down for a round of introductions and the first of many mouthwatering dishes to come. 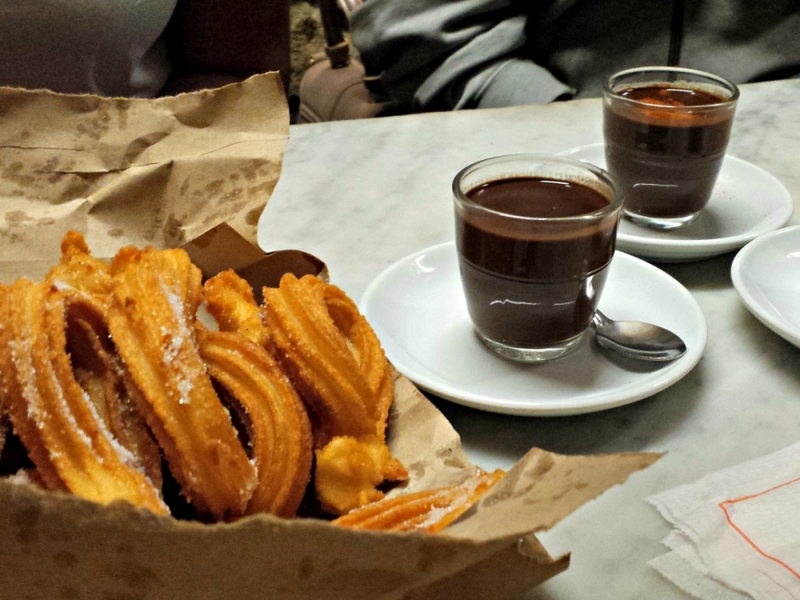 The tour then takes you around three distinctly different Barcelona neighborhoods and gives you a crash course on the city and its vibrant food scene. 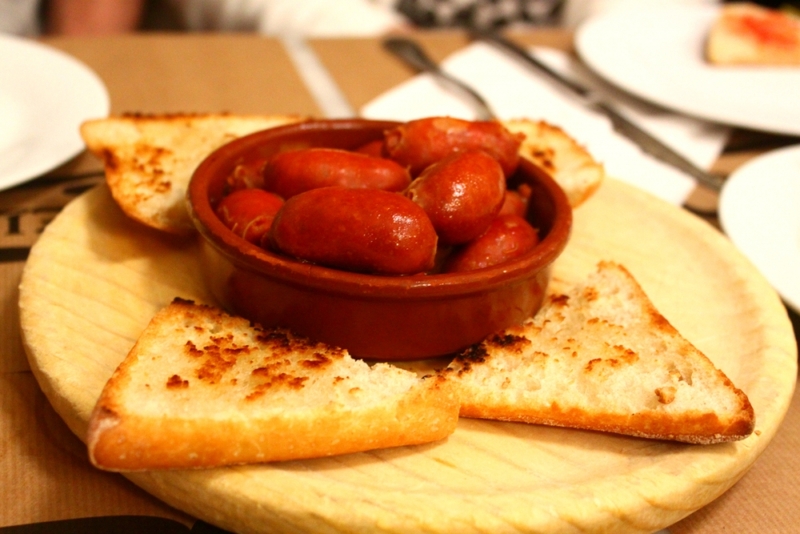 You’ll try local specialties specific to Barcelona or Catalunya, and also staples from general Spanish cuisine. 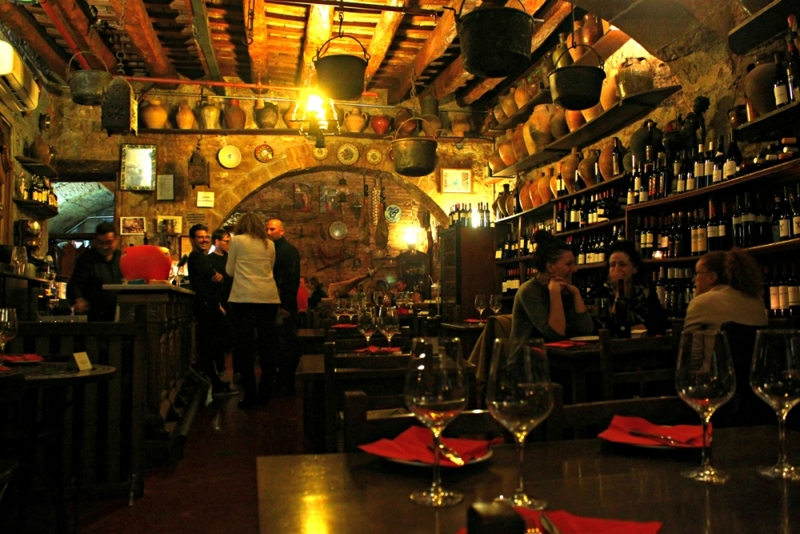 All of it is at carefully selected places locals eat at. The food is all delicious, and you also get to try a range of drinks, including wine, beer, and coffee. It isn’t a short tour, clocking in at fours hours long, but it never felt like it dragged. The stops are thoughtfully placed, with a nice mix of spots you can sit down in and stand-up places. 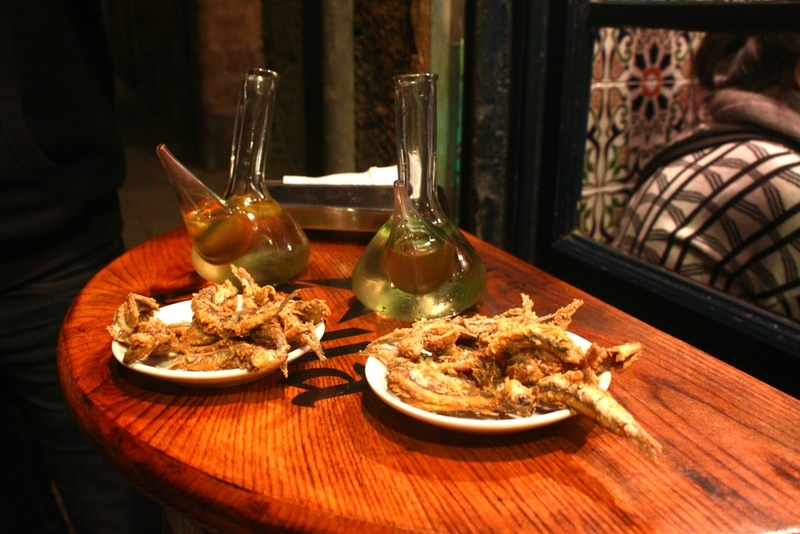 In between food and drinks, you’ll learn lots about Barcelona’s history over the centuries. There’s never a dull moment, but nor are you racing from place to place; rather, it’s a relaxed, gently-paced stroll that includes great eats, sightseeing, and plenty of local hidden gems. 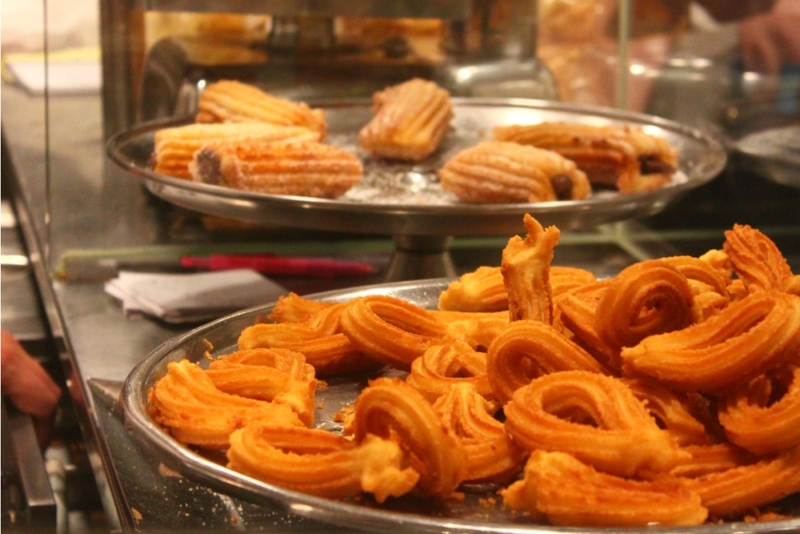 That fried asparagus, some incredible cheese, and the best churros I’ve ever had, hands-down. 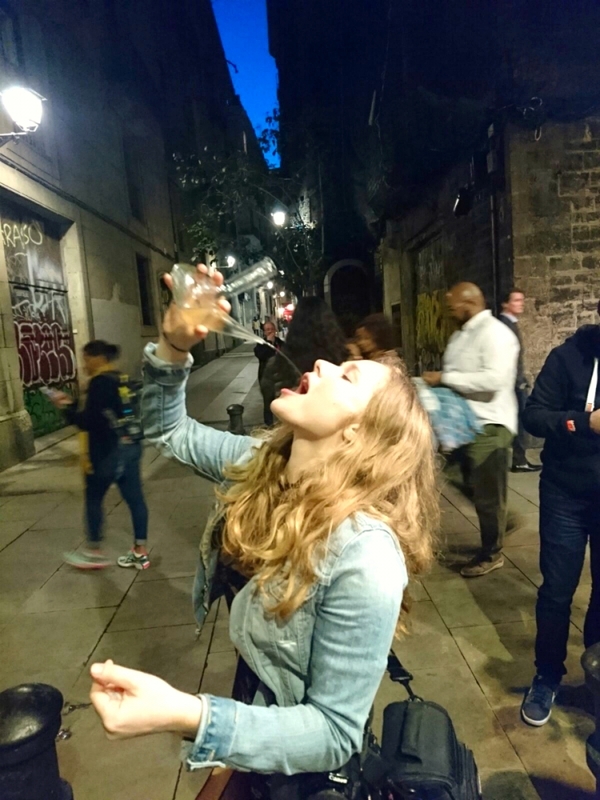 Attempting to drink out of the porrón – it’s harder than it looks! The friendly vibe. All the best tours I’ve been on create the feeling you’re out with friends – and Wanderbeak one definitely does it! Over the course of the evening, you’ll try some very tasty tapas, cured meats and cheeses, local sweet treats, excellent wine, and lots more. I went home very full and very happy – and certain that I’ll be re-visiting many places on the tour! Would I recommend this tour? 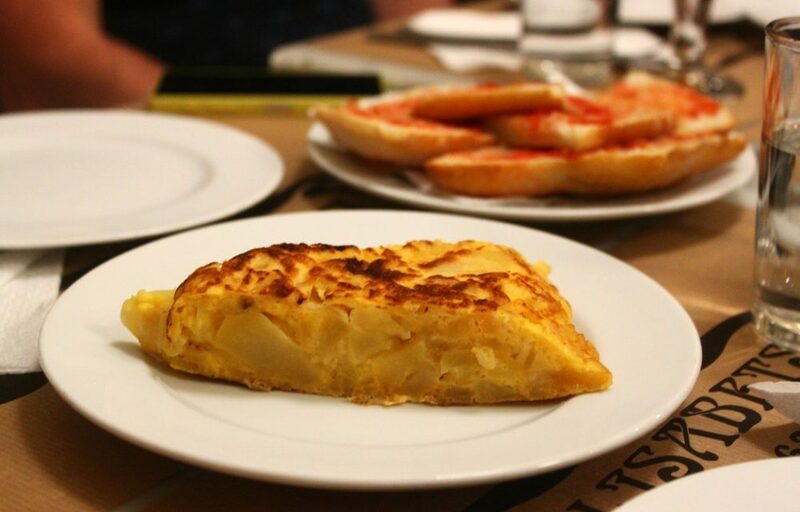 I was a guest on Wanderbeak’s Savor Spain tour. All my opinions are honest (as always! ), so here’s what I liked and didn’t like about the tour. 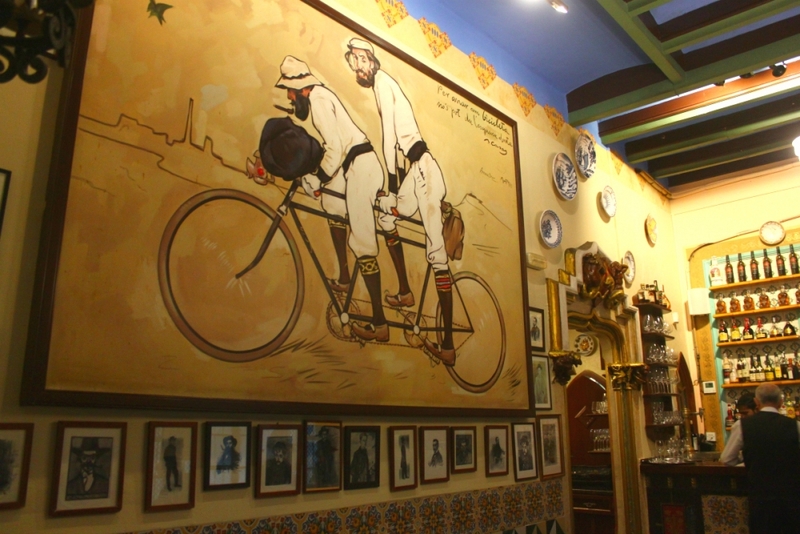 Positive: great pacing, friendly atmosphere, lots of tasty food, interesting facts about the city and its culinary history, the chance to explore lots of different bits of Barcelona. It’s also so much fun! Negatives: none! I thought this was an excellent tour and highly enjoyable. It’s definitely the best food tour I’ve taken to date. Would I recommend this to a friend? Definitely! Marwa and Rowan, the people behind Wanderbeak, have put together a really lovely, thoughtful tour. Great eats and fantastic stories. Thanks very much to Wanderbeak for inviting me along for their excellent tour! All opinions are completely my own – I really DID like it this much! Get ready for some seriously good eats here! 😀 There is sooo much tasty food.